Vaishno Chaat Bhandaar will satiate your cravings without making a hole in your pocket. And they serve some of the best golgappas we’ve tried. Vaishno Chaat Bhandar is the perfect place for chaat lovers; they have a limited menu but everything is as good as it gets. They have papdi chaat, golgappas, pav bhaji, aloo tikki, dahi bhalla and kulfi faluda. 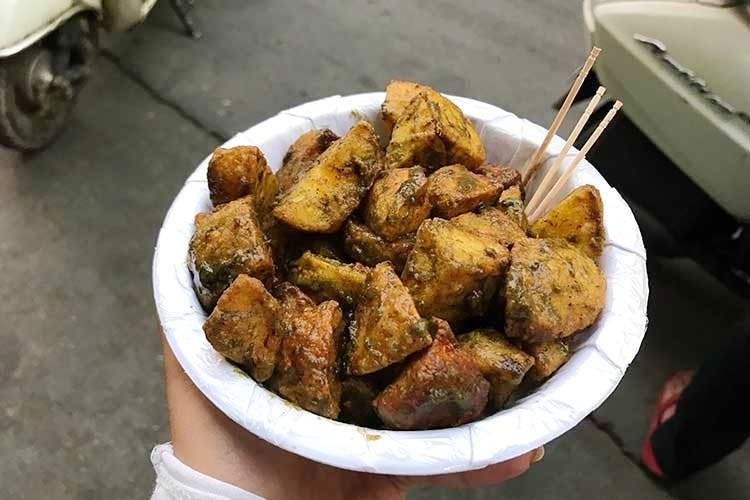 They are famous for their scrumptious golgappas and aloo chaat. We’d suggest not leaving without ordering plates and plates of both of these. Yum.